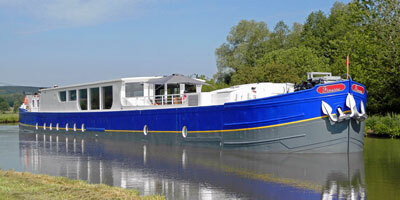 Planned in advance, we can position two barges on the same waterway, allowing more passengers to cruise in company. From time to time we are asked if we can accommodate larger groups on tandem cruises. Perhaps there is a large family reunion to arrange, a holiday with a group of friends, or an organisation such as a wine club, or a company incentive group, who require more cabins than a single vessel offers. 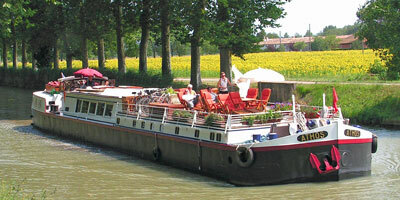 Planned in advance, we can position two barges on the same waterway, allowing more passengers to cruise in company. This really is great fun. Tandem cruising allows plenty of opportunity to sample the cuisine of another chef, host cocktail parties and enjoy the relaxed refinement encountered whilst cruising in company. In addition to the daily excursions enjoyed along cruise routes, we can also arrange tennis tournaments, bicycling rallies, golf competitions and more.